Lax might be more recognized as lox, or just salmon here in North America. But the fish is called lax in Sweden, and “laks” in Norway and Denmark. In German it is called “lachs”. Salmon is the English word, but it seems that when the salmon is brined before smoking, or just cured, Americans prefer to call it “lox“. I researched some recipes for gravad lax, and wanted to match that recipe with my homemade snaps. For this my aquavit laboratory will come in handy. I started with the finest fresh salmon I could find, Copper River salmon fillets purchased at Costco. Together with fresh dill and ginger, brown sugar and sea salt. Lemon and orange juice and zest, crushed white peppercorns, and a couple of ground star anise. With these ingredients I hope to make a more complex curing, with a bite from the ginger, and some citrus and licorice flavor behind the dill. I start with preparing the spices. Using 2-3 tablespoons of brown sugar and sea salt. Crush 1-1.5 tablespoon of white peppercorn, and mix it with the salt and sugar. Now start with the salmon, cutting two equal size pieces (approximately 12 oz each). (I prepared the rest of the fillet for future curing and dinner meals). Each piece of the salmon fillets are uneven in thickness, to ensure curing of the thicker parts, cut through the skin on the thicker part. After washing out and drying the styrofoam tray, it becomes a perfect working container when adding the spices. The next step will combine the spices, sugar, and salmon and wrap the prepared salmon into a tight package. Cover the styrofoam tray with a long piece of plastic wrap. Spread an eight of the sugar-salt-pepper mix on the plastic. Adding some dill and zest from orange and lemon. Place one fillet with skin down over the spice mix. Rub the meat side with some ginger, and then almost half of the salt-sugar-pepper mix. Do not forget the sides. Spread almost half of the citrus zest over, and the same with the chopped dill. Place the second fillet next to the first one, but turn it 180 degrees. Now when we add the two fillets together meat side to meat side, the package will be evenly thick. Prepare the second fillet the same way. Add the the whole dill pieces on top of one of them. Sprinkle all the juices with anise over both fillets. After flipping, we turn the fillets 90 degrees, so they sit longways in the tray. Fold up the long sides over the fillets, and then the short sides. Make sure the juices stay in the package. Stretch the wrap to squeeze air out. Use one or two more large pieces of plastic wrap to complete the job. Finish with the whole package into a ziplock bag, and place it in a narrow bowl/pan. This is now going to cure under some pressure in the fridge for 3-4 days. I use 4 lbs of butter, or a half gallon of milk. For me the fridge door worked perfect. Easy access is important, because you need to flip the package every 24 hrs. Expect some juices to leak through the plastic, thus the need for the bowl. Now the “grand opening” and unwrapping this gravad lax. Use the file knife to cut a thin slice off the thin side, and put it in your mouth. It melts and taste wonderful. Sometimes I rinse the salt a pepper off in cold water, and dry the fillet with a paper towel, but this was so flavorful and decorative, so I decided to keep it on. I was also surprised how the hot ginger almost disappeared. I was the first time I used it, so I was a little nervous, but I got the ginger idea from an experienced “lax graver”. Now I need to complete my project, by making a pairing snaps to this. My aquavit laboratory comes in handy now. I fill a small bit of vodka into a snapsglass, and drip 8 drops each of my infused star anise, fresh dill, and orange and lemon zest. I was both thrilled and nervous at the same time. I stared at the glass for 30 seconds, before I pushed the entire bite into my mouth and explored it, and washing it down with my snaps. And it worked…..beyond what I expected…. All spices and flavors in the gravad lax, were confirmed by swallowing the room temperature CAD-snaps, Citrus-Anise-Dill. Small food bites like this, remind me of the Spanish Tapas. Some exclusive Swedish chefs introduced the term Snapas several years ago. I will have to come back on that subject another time…. Spicing your own liquor is very popular in Sweden and Scandinavia. It have always tickled a special nerve among people to make their own alcohol, adding grains and spices into a mash, and distill it in a simple pot still. But it is combined with a lot of problems, legal problem, flavor problems and safety problems. Moonshine productions is illegal in Scandinavia, and even in many US states. But buying clear spirit like vodka and, and infuse it with your own spices, is not illegal. Since I have been a passionate aquavit and snaps consumer, all since I went to my academic forestry education in Sweden to become a “Forest Engineer”. Our student tradition was , and had been so for hundred years, to frequently eat, drink snaps, and sing snaps songs together. I started collecting my aquavit bottles when I moved to US year of 2000. Aquavit was very hard to come by at any US liquor store, and most of my bottles were brought in from overseas, by my self when travelling, and visiting friends and family. The last couple of years, interest for aquavit have grown rapidly in US and Canada, especially in areas with large Scandinavian population. I live in such area now, Northwest Washington state. Today Washington state have almost 30 small distilleries, of which a hand full produce aquavit. The growing trend is similar in most other states, but it seems like the small scale distilling industry is growing fastest here in Washington state. When it comes to making aquavit, they are all in a learning experience, and some of them already produce some real good aquavit. They all offer free tasting on site, and guided tours through their distillery. I have so far visited three local distilleries, and had samples from their products. It is evident that some of them have learnad about aquavit tradition back in Scandinavia. They have both knowledge about the variety of flavors that are expected from good aquavit, and knowledge about the deep tradition behind drinking snaps and aquavit. Some of these companies have started from scratch, with the primary goal to be an aquavit producer. Other distilling companies have a background as long time whiskey, gin and vodka distillers, and are trying to break ground on the aquavit side of business. It seems like they are learning the harder way, and their products have less of outstanding character. One reason to that, can be that they produce an aquavit with no color, which is a sign that they do not infuse any spices or herbs after distilling. Caraway and/or dill plus other herbs and spices, are added into the alcohol before the final distilling. Even thoug spicing your own alcohol, is widely spread hobby in Sweden, I have never tried it my self, but I have been long time curious about it. Now I have decided to learn more about that part. To start, I will try to make a similar aquavit, to my Swedish favorites, Skåne Akvavit and OP Andersson Aquavit. They both are spiced with caraway, fennel and anise. So I went to the local organic grocery store, Country Aire Market, and their bulk section for spices and herbs . There I got some dry seed and dry weeds to get started with. This started as a “trial and error” experience for me, so I did not put any rocket science into it., I just needed to figure out how it works to infuse these dry herbs and spices into alcohol, and then mix them together, to make an aquavit. I got about 1 oz each of caraway, fennel, star anise, dill weed plus a bunch other spices. I set them up in some 400-500 ml bottles, and they have been infusing in vodka for 2-3 weeks now. Most bottles were saturated with flavor after 5-10 days, others needs more time. When the alcohol seems to be saturated with flavor, I filter it to separate the alcohol from the herbs and spices. That way the infusion process gets to an end, and my remaining 300-400 ml of concentrate, will stay with the same concentration, till I have to make a new batch. I immidiately experienced how concentrated most of my infusions became. After a couple quick test I figured that I only needed drops of it, to spice a small 2-4cl shot. So now I needed to be able to control the drops, and got some 50 ml eyedropper bottles, in which I poured my infusions. My whole idea was now to elaborate with small volumes, 2 cl ie approx 2/3 oz, and sooner or later I was hoping have a blend similar to Skåne or OP. The pipette will allow me to drop 1 or a few drops of each flavor, into clear vodka, and instantly I can smell and taste the result. The main reason I want to work with this concept, is that I can develope what I want much faster, than I can if I mix the the three spices and let them infuse together for 14 days. And what do I do, if my 14 day infusion is a failure? Now I can repeat my testing, over and over again. When I have a mix that I am happy with, I need to be able to convert the 2cl recipe to fit a bottle, or maybe 10 US gallons. To be able to both blend 2-4cl batches, as well as to blend a full size bottle batch, I need to know more about the volumes the pipette drops. Some internet research tells me that there is about 20 drops of water in 1 ml. I did the test of that and got it confirmed. But how many drops of 40% alcohol will there be in 1 ml? 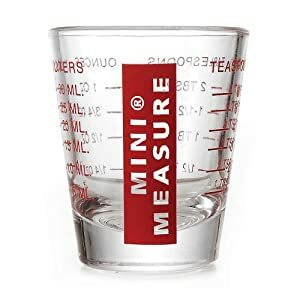 Alcohol have different surface tension and different density, and now it is a mix of approx 4 parts alcohol and 6 parts water, since vodka is 40% alcohol (80 proof). By using small measuring cups, I quickly figured out that I had a 1 ml pipette. The glass pipette tube pretty much, filled the same volume every time, and it took me 30 pipettes to fill the 30 ml measuring glass. I also found out that it needed about 36 drops of 40% alcohol per 1 ml. Scania is the old name for the Swedish county Skåne. I made a simple spread sheet on my Google Drive (cloud documents). The green numbers are the ones I worked with, 40 ml in a measure glass, and 8+4+8 drops from the pipette. My spreadsheet allows me to choose what ever batch size I want, and it calculates the recipe. My example below, shows a batch for a 750 ml bottle. Final word. It is amazing so easy it is to make a copy of a masterpiece. Of course there is some nuances, that separate the copy from the original, which makes the copy an original as well. I will put this “Scania Aquavit” up for a blind test comparison with the real Skåne Akvavit one day, and I will let you know the result. My wife will be my first “tester”, because Skåne Akvavit is her favorite aquavit and snaps. Spiced spirits is primarily a Scandinavian phenomenon. The custom of spicing spirit, began in the 16th century, at that time only for medical reasons,. Today it is all about he taste., and to enhance taste of food. Snaps is, almost always, a drink that is consumed together with food. Even a clear, unspiced vodka, can is considered a snaps if it is consumed like a snaps. Anise, fennel, caraway, dill seeds and other vegetable garden spices are used to flavor baked breads, but also to spice spirit. Along with salty butter, pickled herring of all kinds, dill cooked crayfish, cumin spiced cheese, rye bread, marinated (gravad lax) salmon and other typical Nordic dishes, the spiced spirits or snaps, is part of the traditional festive culture. The largest group of spiced spirits is aquavit, where caraway and / or dill must be included. Other spices are allowed, but the former will dominate the taste. Norwegians prefer to spice with only cumin, and they also age the aquavit in sherry barrels. Among the Danes, aging in barrels is unknown. They almost slavishly uses dill and cumin as a spice. But instead the like to increase alcohol content a few notches. Swedish and Norwegian aquavit is usually about 40% of 80 proof. Danes can pop it up to 45-50% or 90-100 proof. In Sweden they make a lot of different aquavit, a small part of production is aged in barrels. Swedes also produce a lot of other spiced spirits, using Bog Myrtle, St. John’s Wort and Bitter Orange. A peculiar flavor of brandy is wormwood, which has a very bitter taste. Bitter snaps has its loyal lovers as well as haters. Anyway, it works well to serve it to the smorgasbord, although the bitter flavored snaps, may take precedence over the taste of the food, which is why it sometimes finish last as a digestif. At last, both the Swedes and the Danes love to sing a special snaps song before drinking the snaps. This ritual is as old as it is to drink alcohol for celebration. Here is Will Ferrels take on it…. Even the Finnish people can drink aquavit and sing while they have a party…. Snaps is not only what we are drinking, it is also the way we drink it. In Sweden and Denmark, snaps is always combined with food, and it do not have to be aquavit by definition. Even a straight shot of clear vodka or gin, is a snaps, if we drink it together with a meal. In Norway the term for snaps is “dram”. The term snaps,is often mixed up with the term schnapps, which is known in North America as a peppermint shot that you, for example, drink at a beer pub counter. That is a total different way of drinking, and for sure a different type of alcohol. There are many reasons for the design of a great snaps glass…. And there is a reason why IKEA sell this type of glass for snaps… Swedes knows what it takes, to grab the glass from the dinner table, and they know what it takes to fill the glass from a bottle. If you want to drink your snaps ice cold, your glass need a stem to hold on to, so your fingers do not warm up the snaps. 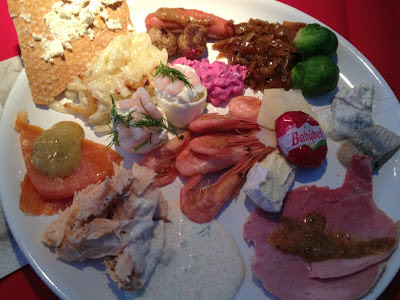 A Swedish dinner table can be a very “busy” thing. Especially when eating a 3+ course dinner. Several appetizers with snaps is not uncommon. And the glass have to get refilled quick and safe between the bites and the snaps songs. Here you can see the difference between 5 cl glasses. These low glasses will definitely make the aquavit servant uncomfortable to fill. The servant might not even find a low glass, hidden behind beer glasses, serving dishes, napkins etc. A good snaps glass should be about 15 cm (6″) tall, and have a 4-5 cm (1.5″-2″) diameter top, to make it easy to fill, but also to drink from. A full snaps glass is somewhere between 3-5 cl (1-2 oz). If you are interested in Aquavit, Akvavit or Akevitt, I will have some great stuff upcoming for you.